Once done, with bated breath I inverted the tin. The cake did slide off well, albeit a bit messy (definitely not as bad as I thought it would be). Poured the glaze over and yes the final outcome was worth the effort – light and fluffy, with the nice zing from the lemon zest and glaze. Pre-heat the over to 180 C. Sift the flour, baking powder and salt. Set aside. In a mixing bowl, cream together the sugar and butter till light and fluffy. Gradually add the eggs one at a time. Beating well after each addition. Add the essence. Now gradually add the flour and alternately with milk. Beat well after each addition. Finally stir the zest in. 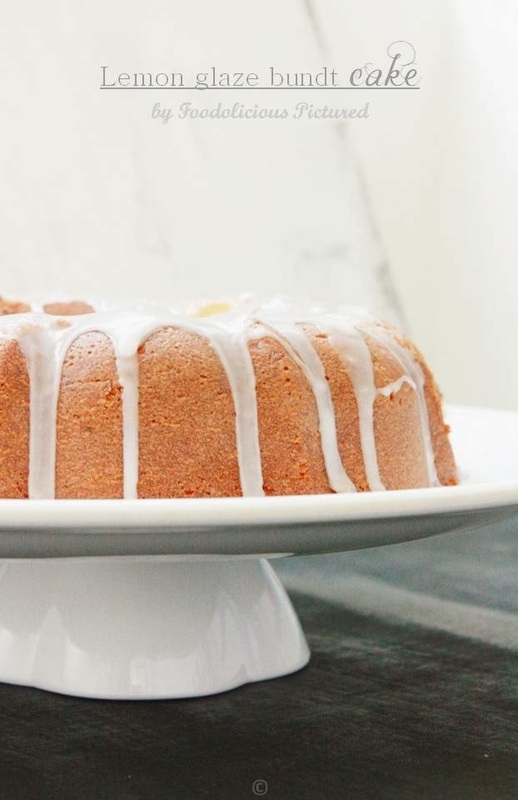 Pour the batter into the greased and floured 10-inch bundt cake tin and bake for 50-60 minutes or till the toothpick inserted comes out clean. Cool the cake on wire rack completely. In mixing bowl, add the lemon juice and the icing sugar and mix with a wooden spoon till smooth. Spoon the glaze over the cooled cake and serve. I have had my kitchen mistakes. Good that the cake came out. I had to dig the Malaysian Kuih I baked and the cracks underneath were massive. So had to say bye bye to it and what else can it be but to try another day when I have the time. Perfectly made Rekha. 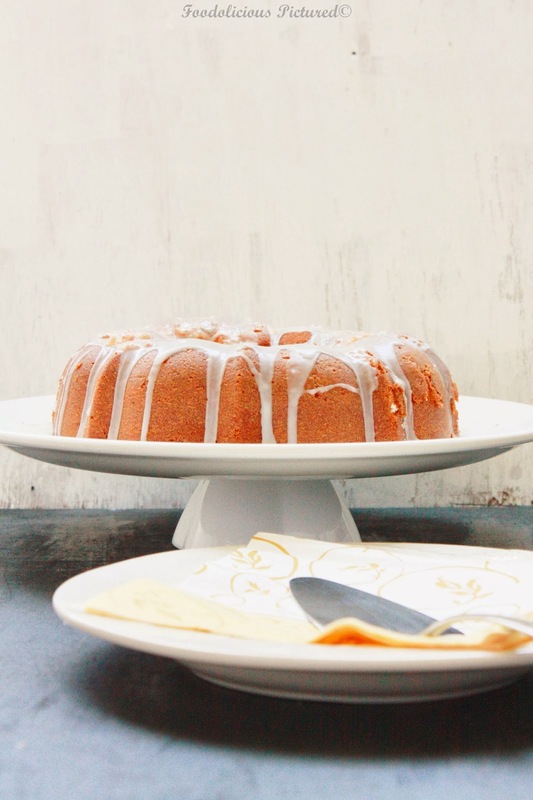 I am not so much for the glaze but I adore the cake especially the lemon flavor and scent. The cake is soft and spongy and……… let me find the time to made it, maybe half the amount of ingredients for a smaller size. I am a big fan of bundt-perhaps for their shape more than anything else? Yours got the shape and the flavours too ! A perfectly made cake…………love to garb all. 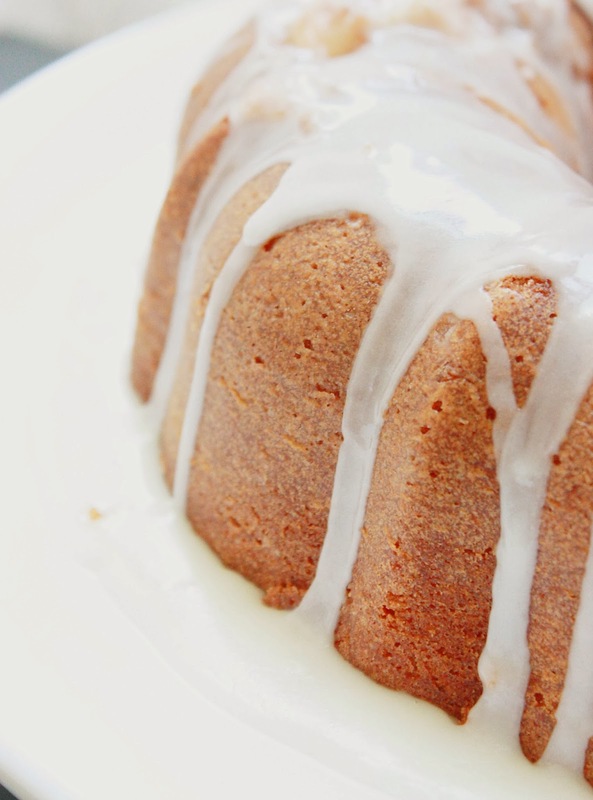 Love the bundt.. The first picture is a very classy and elegant shot.. Shape has come out very well..
Soft n spongy Rekha. Kudos for having kept your fingers crossed n waiting for the cake to come out well inspite of not greasing the pan.Hoping for the best does bring out a good result..n thats evident here. Lovely cake!!! The texture of the cake is perfect and the taste must be divine. Love bundt cakes, and I hear ya. It's always a scare that the cake should turn out properly,yours looks perfect. 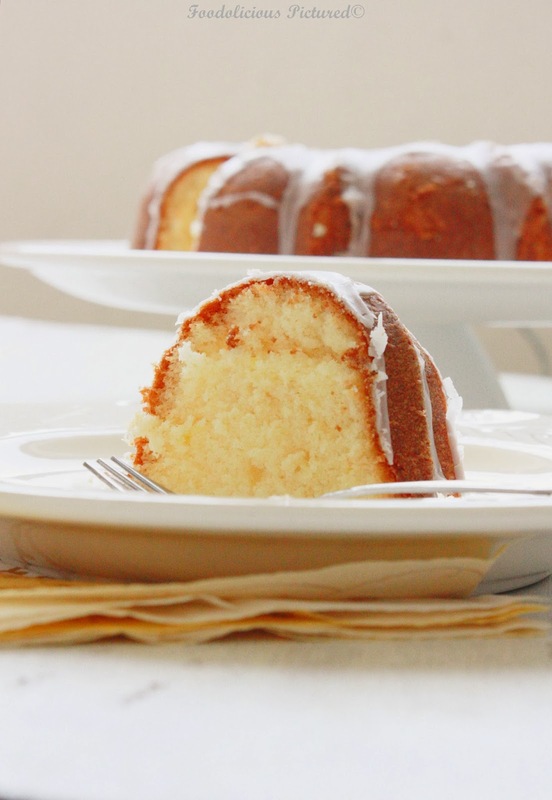 Perfect bundt cake. 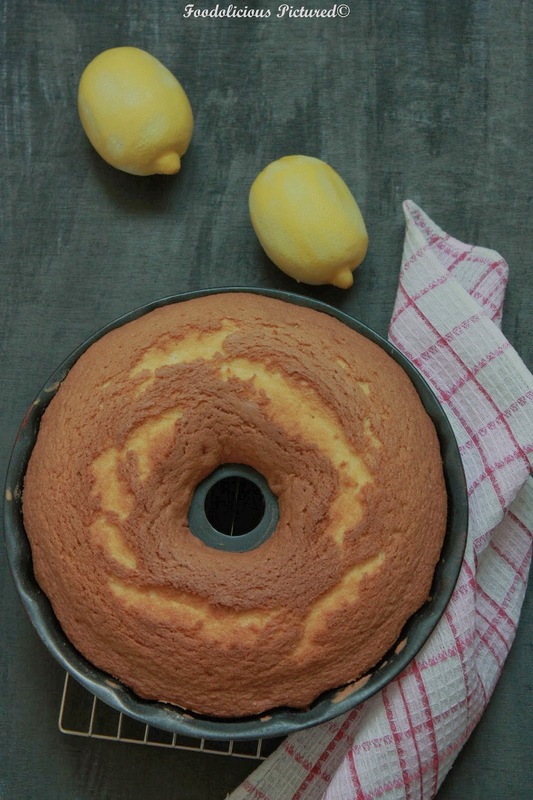 Love the lemony glaze!! 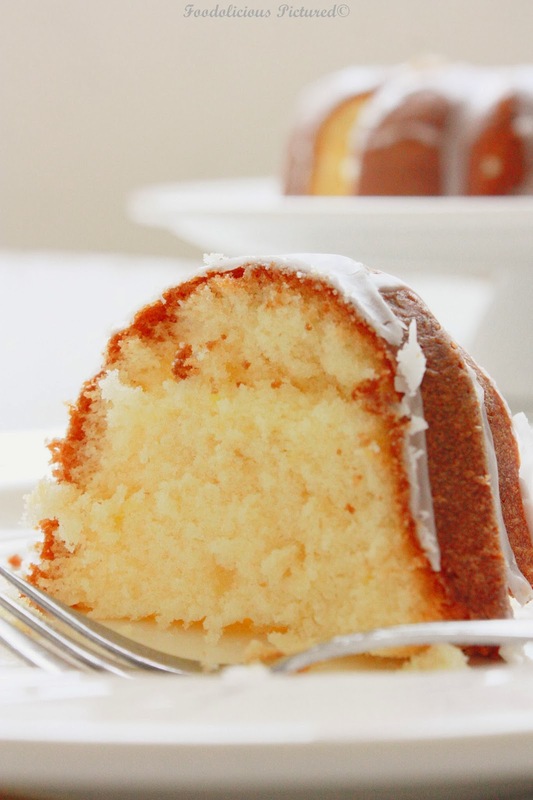 Bundt cake looks perfect .. Texture of the cake looks super soft and spongy .. Thank you Priya 🙂 So glad it came off!